Extending the 3D BRAVIA lineup with two new network models, BRAVIA NX810 and NX710 Sony is ready to transform consumers' living space with a lethal combination of 3D capability,connectivity and stunningly elegant Monolithic design. With the NX810 and NX710, users can easily go on a 3D journey by connecting the TV to the 3D Sync Transmitter and putting on SONY active Shutter 3D glasses to start enjoying life like high-definition 3D entertainment. Quality is assured even in 2D, as the TVs features BRAVIA Engine 3 high-definition video processor, Dynamic Edge Led backlighting and Motionflow technology of up to 200Hz, resulting in incredibly sharp images, smooth motion and ultra-high contrast of over 1,000,000:1. The BRAVIA NX Series provides you with the ultimate 3D set-up. Surrounded by sleek brushed aluminum, the sleek glass screen are set perfectly flush with the frame to accentuate the luxurious and meticulous nature of its construction. 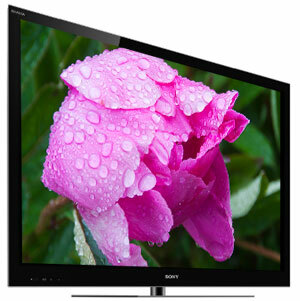 Put on Sony's Active Shutter 3D Glasses for amazing Full HD 3D pictures on the BRAVIA NX810 Series.